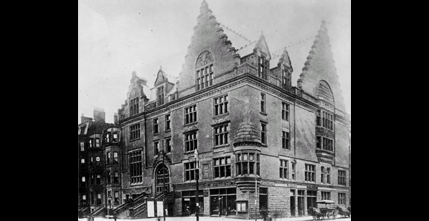 YMCA building on the corner of Boylston and Berkeley Streets, Northeastern University's first home, 1896. 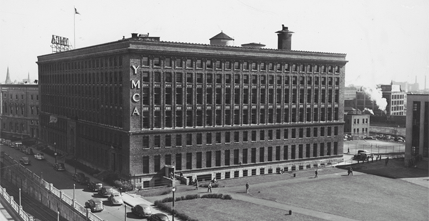 YMCA building on Huntington Avenue beside the quadrangle of Northeastern University, 1943. 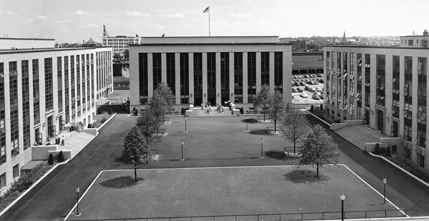 Aerial view of the quadrangle, 1952. 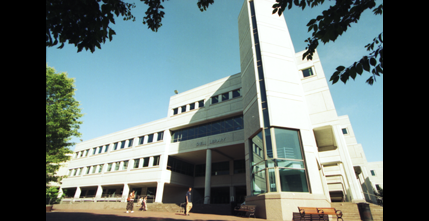 Snell Library, opened in 1990, as seen from the library quadrangle, 1999.